THE NCAA NATIONAL CHAMPIONSHIPS AT RICH HARVEST FARMS, May 19-31, tickets on Sale NOW. The Gog Blog by Rory Spears, Editor and Director of Content. Follow Rory on Facebook, Linkedin and Twitter @GogBlogGuy. The snow is melting and the courses are starting to reopen, in fact this past weekend some courses were open with carts. Great job by Chad Johansen and crew at Blackberry Oaks in Bristol, that had carts out yesterday afternoon. By later this week, most of the remaining piles of the snow should be gone, and there should be more course openings to report, stay clicked in right here for details. 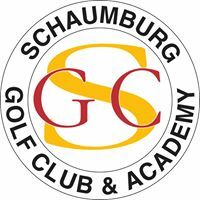 For those of you who have been asking, Golfers on Golf Radio will return this year on April 15th, to start a 23 week run through September 16th and BMW Championship week at Conway Farms, yes the show is moving to Saturday mornings at 9 AM. There will be more news announced shortly, about our new station. 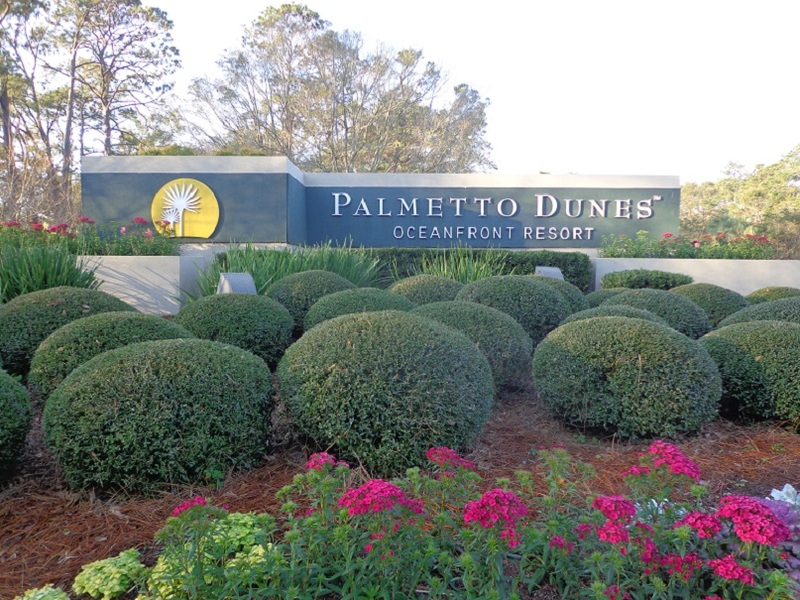 The entrance to Palmetto Dunes on Hilton Head Island. Palmettodunes.com home of three great golf courses. Palmetto Dunes Resort on Hilton Head Island in South Carolina, is running some spring “stay and play” packages. 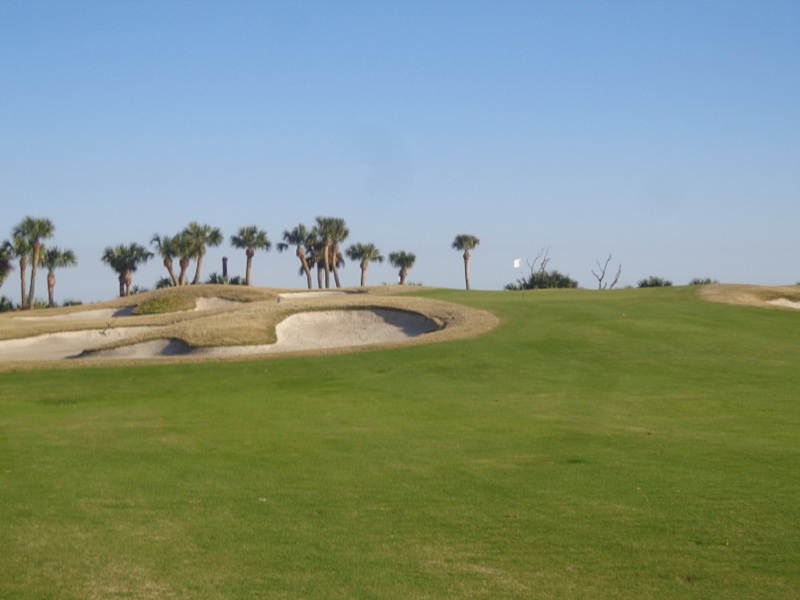 Golfers have 54 great holes of golf to play on the Jones, the Hills and the Fazio courses. The Fazio course has now reopened from the damage of the hurricane last fall. It’s bunkers have been repaired and are in their best condition in some time. The stay and play package consists of 4 days and 3 nights in a 2-bedroom villa at the resort. 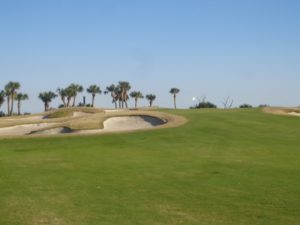 Two or three rounds of golf on the resorts three championship golf courses (includes greens and cart fees). 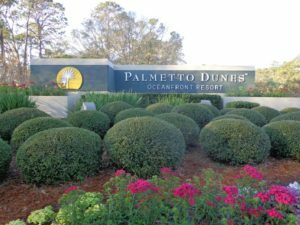 Two hours per day of court time at the Palmetto Dunes Tennis center. Complimentary range balls, pro shop merchandise and dinning discounts at Big Jim’s and the Dunes House. Preferred rates and priority access to all the resort activities and amenities. The Par 5, Tenth hole on the Robert Trent Jones Course at Palmetto Dunes. The “Birdies and Beer Package”, where you get three rounds of golf on the courses of your choice. In addition to the choices listed above, the package includes Breakfast and Beers. The “Group Golf Stay and Play Package”, this package is for groups of 12 or more players, play three rounds of golf and have the option of a fourth round for free, special discounts in all pro shops. If your game needs some help, you can put in the work while enjoying the “Golf Academy Package”. You receive two full days of instruction from the Palmetto Dunes Resorts PGA Golf Professional staff, you can view your results on video. You do receive lunch after lessons unlimited use of the range and much more. 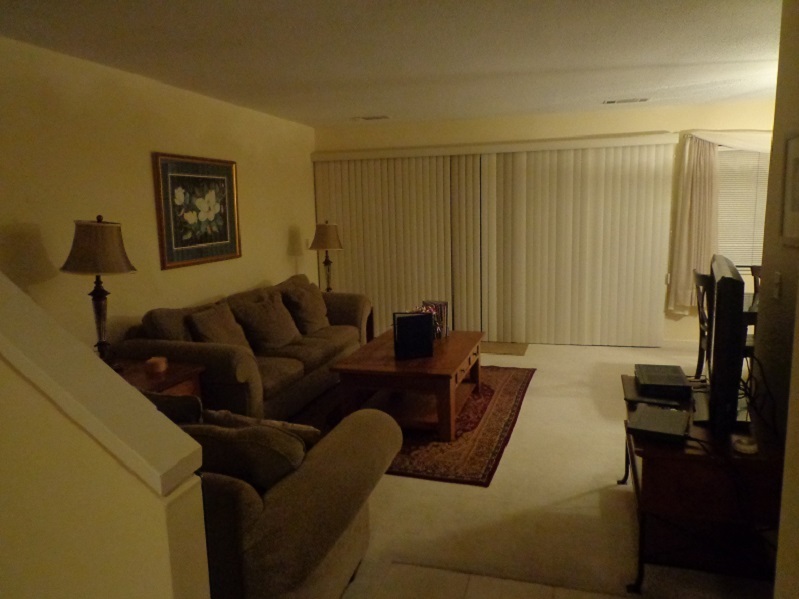 Palmetto Dunes has very comfortable villa’s nestled in between the golf courses and near the ocean. If you wish to save money on your tee times, you can save 30% on select tee times if you book on-line and at least 45 days out. If your book your tee times at least 15 days out, you can still receive 15 % off, if your book at least 7 days out, and you receive a 5% discount. Tee time restrictions could apply. So when your ready to book your spring destination call Palmetto Dunes at (877)-567-6513 online at www.palmettodunes.com. NEED MORE on the golf course, well Palmetto Dunes can do just that. New styled golf carts designed by Club Car. The carts built for four players, are perfect for players that want to walk a little more, but still ride when needed. In addition, the carts are complete with USB ports to cahrge cell phones and play music devices. palmetto Dunes is the first resort in South Carolina and the Southeast to offer such golf carts. options like this have ranked the resort among the Top 20 Best Resorts in the South. FROM THE GCSAA the golf course superintendents association of america, has announced that Patrick Drinkard becomes the first in the USA to complete the professional certificate program of the association. Now Drinkard is in his first year of equipment manager at The Clubs at Cordillera Ranch near San Antonio. For more on the program or the GCSAA visit www.gcsaa.org or on social media at Facebook and Twitter. TOURNEY TIME IN CHICAGO…tickets are on sale for the Men’s and Women’s NCAA Championships to be played at Rich Harvest Farms in Sugar Grove. The Women’s Championship is May 19-24, and the Men compete from May 26-31. Host by Northern Illinois University the national championships are two weeks of great golf, and some of the players will on to various professional tours in the years ahead. For tickets go online to NCAA.com/tickets. TIM MERCER of LaGrange park won the long drive contest at the Chicago Golf Show, with a drive of 337 yards to earn a pro-am spot in the KPMG/LPGA/PGA Championship on June 27th. Tim will join a group complete with one of the top LPGA players competing in the event, congrats Tim. CHICAGO/NORTHBROOK based KemperSports management group has announced it is now managing it’s 21st course in the state of California, with addition of the Yucaipa Valley Golf Club, the club is located in the foothills of the San Bernardino Mountains, the course is a 6,800 yard, Par 72 course. KSM recently handed out it’s annual awards during a dinner at the Glen Club. Among the winners were Ryan Szydlowski, from the Desert Willow Golf Resort, who was honored with the famed Emil Esposito Golf Professional of the Year Award. The Royal Melbourne Country Club in Long Grove, was named Retailer of the Year. IN MINNESOTA KemperSports has announced it’s been selected to manage the Jewel Golf Club in Lake City, Minnesota. The club is a short drive from the Twin Cities, and is nicknamed “The Jewel”. It is the second course that KSM will manage in Minnesota.